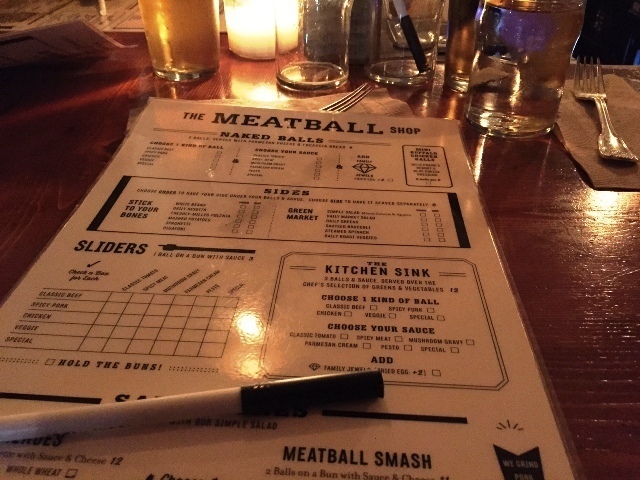 Step into the Meatball Shop and find yourself in meatball heaven. And in a cool place. I just love the look and feel of places like this. Once inside it gets tough. There are lots and lots of choices to be made. Which kind of meat do you want your balls to be. Chicken, beef, pork or perhaps vegetarian? Do you want extras on the side or under your balls? Do you want your balls on a bun or do you prefer to eat them with spaghetti, macaroni or .. you name it, they've got it. And if you don't find anything you like (or simply cannot decide) then perhaps you'll want to check out the daily specials that are written on the board near the bar. Next time I'm gonna try the Kitchen Sink. Three balls and lots of veggies. And when you get done staring at the wipe off menu and have marked your choice on it with the special marker then it is time to check out the place. Notice the meatgrinding tools hanging on the walls and all the other butcher shop items. 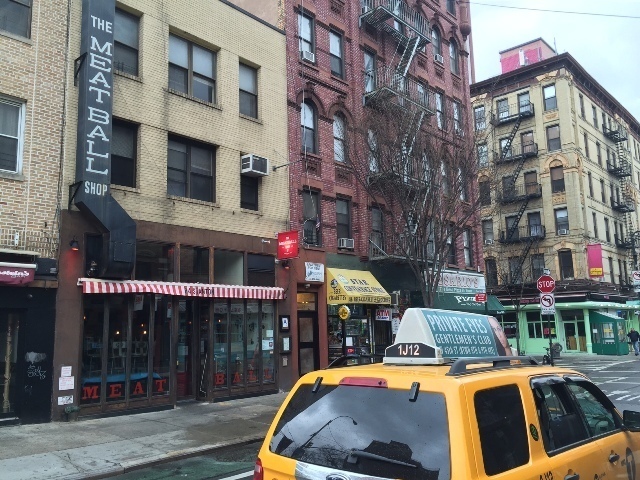 The Meatball Shops are usually packed. We were able to find a couple of empty seats at the bar. Which was great cause we got to interact with the crew behind the bar. And they were making sure everybody had a good time. 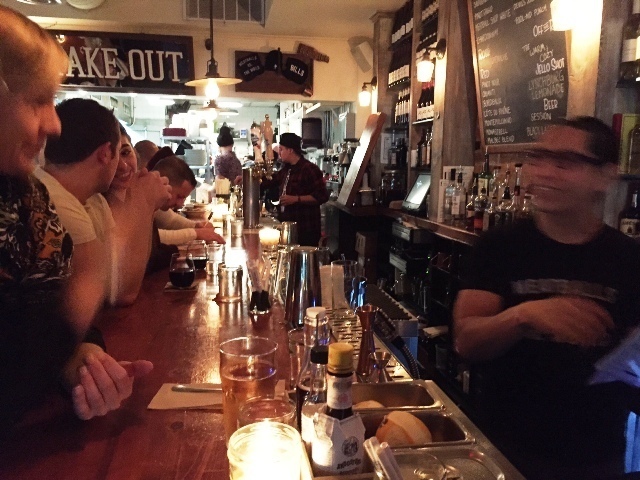 There are currently 6 Meatball Shops in New York City. We went to the one in the Lower East Side on Stanton Street. That one is open until real late. Which is great for Newyorkcitytrippers with a jetlag. You can find the others in the West Village, Chelsea, Upper East Side, Upper West Side and Williamsburg. 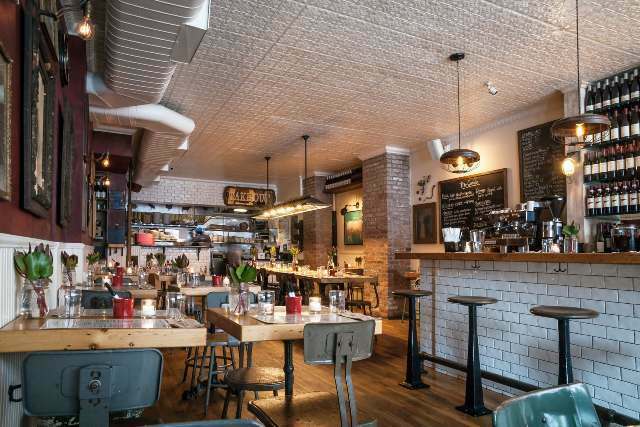 Check out the Meatball Shop's website for more info.